Let’s start by dispelling the biggest myth around salary. Many people are so happy to get a job offer they think asking for “too high” a salary will somehow translate into that offer being rescinded. Could it happen? Yes. Does it happen often? No. So what are some of the tips you can use when salary negotiation time comes around? Get back into interview mode: It’s time to re-sell yourself and ensure the company is reminded of all the reasons they wanted to hire you in the first place. Do your research. Look at comparables and other companies in the same industry/position and find out how their employees are compensated. What are the salaries, incentives, benefits, vacations, etc. that are being offered? Knowing about the competition will give you some leverage in your negotiation. Come out swinging. If possible, mention your desired salary before the employer does. This, at least, starts the negotiation on your terms first. Think before you act. Don’t necessarily take the first offer presented. Be respectful and gracious but ask for time to think about it and get back to them. Use leverage. If you have other offers pending, don’t be shy about mentioning them. What this does is create a sense of urgency to get the process finished before a competitor snaps you up quickly. When mentioning other offers, be sure to affirm your legitimate interest in the employer you are speaking with. You do not want to give the impression that money is your main motivation, but you do want to express that you are very interested in the opportunity and would like to ensure it’s the right fit in all regards, including compensation. 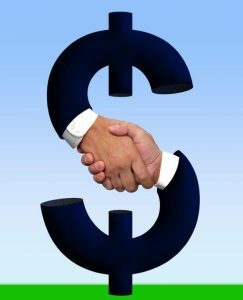 Although cash compensation is an extremely important factor, it’s not the only one you should consider when accepting or declining a job offer. It’s important to evaluate the entire opportunity, including work/life balance, health benefits, educational opportunities, professional development, vacation time, retirement plans and your enthusiasm for the position. Overall, if you’ve been offered the job, the ball is in your court to get what you want at the start. A missed opportunity at the onset could lead to regrets and future missed opportunities.